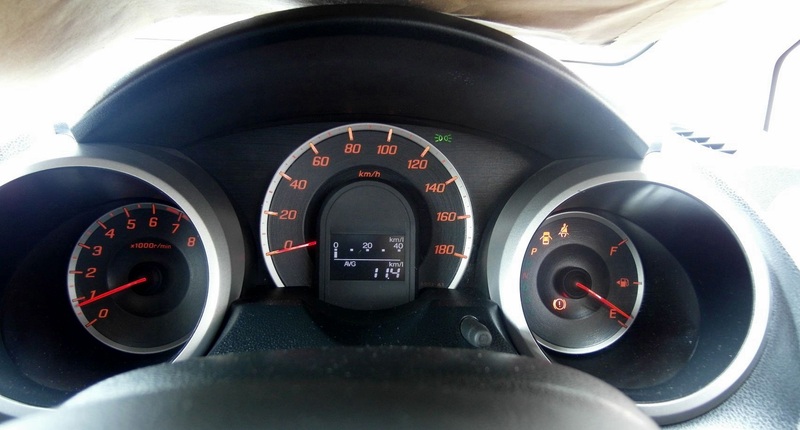 With CVT gearboxes becoming a common feature on most cars that are being imported into Sri Lanka, specially after Toyota Japan has made it standard for all the common models (Axio, Allion, Premio, RAV4, etc). However a lot seem unclear what is different from the CVT, specially since Toyota went to great lengths making many changes to the implementation of the CVT in Toyota’s to make it look and feel like a normal auto, hiding some of the characteristics that easily enabled a driver to know if the car had a CVT or not. This tweaking has made many feel that CVT gearboxes are just like auto boxes, when in reality they are engineered very differently. A simple and quick guide that i would like to point out to people is http://cars.about.com/od/thingsyouneedtoknow/a/CVT.htm. Hits the key points straight on such as the characteristics of a true CVT gearbox, and how manufacturers tweak it to hide the characteristics since most automatic users feel not comfortable with the normal jerky revy nature of the CVT gear ratio changes. 4. 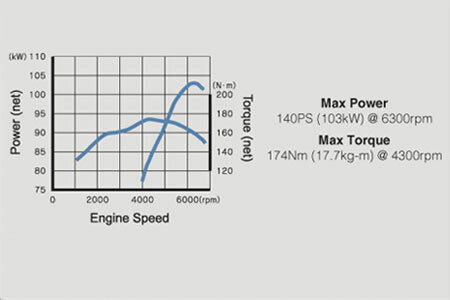 Implementations of the CVT gearboxes differ from manufacturer to manufacture, both in the physical as well as software. 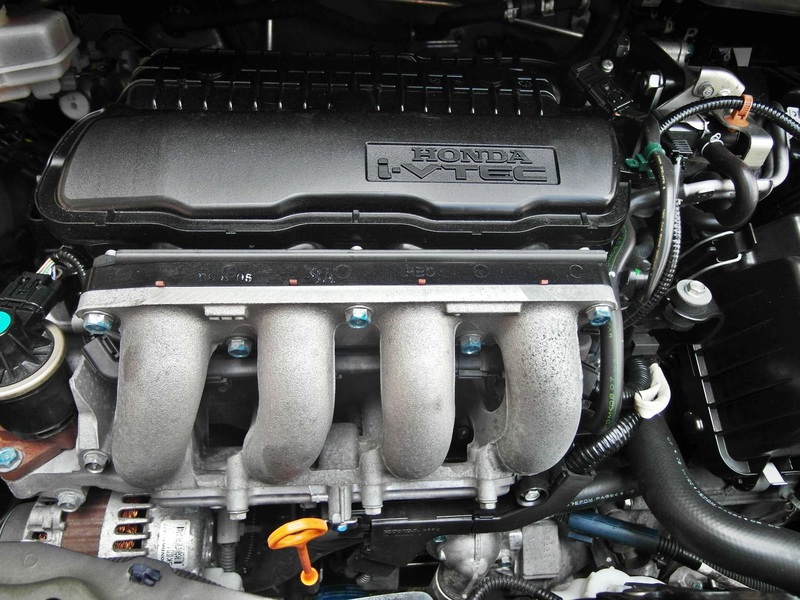 Honda implementations seem to favor retaining the revvy nature of the CVT, as Honda owners feel they are driving something sporty. However Toyota findings that their buyers preferred the automatics more smoother controlled changes has seen Toyota invest greatly to make the CVT gearbox mimic an auto. Nissan one of the pioneer CVT implementers and a company that actually started using it in larger cars has never got much of the spotlight though they have many different variations of CVT. However with the emergence of the dual clutch automatic gearboxes, which has shown that cars equipped with it could shift faster than a manual gearbox has made the CVT the second best auto implementation compared to the manual. Dual clutch implementations are featured in many European cars, with VW group even having it on their cheap small cars such as the Polo. Sadly not seen much on this from the usual Japanese cars and companies. A good site that hybrid buyers might want to checkout is http://www.greenhybrid.com as these provide rich discussions on most of the popular hybrids, and you can find some interesting issues. While real life fuel efficiencies are definitely great in city driving conditions, the gains on open roads are less evident. A common finding in UK is that the latest Turbo diesels return better or equal fuel efficiencies with less complexities than hybrids, however local taxes on diesels means we can’t import these great turbo diesels at low prices. The battery depletion rate is impacted by the weather conditions, usage patterns. Hotter weather conditions, regular idling seems to have impact on the battery life and efficiencies. Battery efficiencies and lifetime is impacted by the batch and manufacture year. Contradictory to all industry expectations, and comments made by members handling policies, the taxes have been revised further to the astonishment of many. While definitely good for car buyers, i am sure many who brought cars recently, or were waiting to sell and buy new would be a bit disturbed by the massive changes. 2. Aging/depreciation percentages have been increased that means less tax. E.g. 3-3.5 year was 75%, now its 55%, 2-3 years was 80%, now its 60%. However excise duties have been increased, details of which have not been mentioned (one mention being that it had been doubled), would be nice to see as this might level out any benefits from the VAT and aging/depreciation. In the case the excise duty has been doubled, then even with the VAT and aging, prices potentially could go up for some cars! 2. Excise duty is not null for all it seems. Its null for some, and reduced depending on the category, precise impact maybe model based. The drop categories stated say 30 to 15%, 15, 15 to 5% and 5 to 0%. We will need to wait for a more definitive tables to see how this gets applicable. So looks like hybrid cars such as Honda Civic Hybrid, Toyota Prius, Toyota Harrier Hybrid, Honda Fit Hybrid etc are going to be hot cars. My brother got his GE6 2008 fit last week, the 1330cc version with the CVT gearbox. I was only able to do a quick test and hope to do a more thorough review shortly. Here are my initial findings compared to the GD1 Fit i had. My brother has been driving it mainly in the city, and the car is averaging 11-12kmpl, which is very good considering i was getting similar economies with the GD1, which was less powerful. So the i-VTEC version though more powerful seems to be as good as the i-DSI version in fuel economy, impressive. My bro had replaced the stock 14″ wheels with 15″, and had opted for a slightly higher profile, so the car now looks a bit jacked up, but does improve its ground clearance. His initial feel was that increasing the wheel size had not impacted the vehicles dynamics and comfort. Since he still retained the same sidewall size (65), i guess the comfort would not be impacted, though the tire roar may be greater (though that may depend on the tire as well). The vehicle got its first service at the agents, and the oil was changed as it was nearly time, and more importantly it had 0-20W oil which is not suited for local conditions. The agents recommended i save the cash and opt for normal oil due to my low mileage use, so it got 15-40W Havoline mineral oil. A week later i noticed a screech in the brakes, and though Tek Motors had an OEM brake set for around 7K, i decided that will go with the originals even though they were price at 15K. Since the car was new to SL the agents did not the parts manual in their systems, but i got the code from an Singapore Stream forum who were very helpful (Well they had the parts manual, but were as usual lazy to cross check what was compatible). Though the codes are different it turns out the brakes are the same as the 1.8L FD1 civic. The car had average fuel economy at 10.5 in the meter when i got it, but the first week it was doing only 7.5kmpl. After the engine oil change the car is now doing around 8kmpl in colombo city traffic. However if you can just control the foot it is able to return around 9.2kmpl but its very hard to control the temptation to step on the accelerator since the R18 engine comes to life only at the higher revs (unlike the GD1 fit which had all its power low down, and nothing much at the high ends). Seems the car is still learning, and an ECU reset might be on call to make it fast track on learning. However i doubt it i could get anything more than 9kmpl regardless of the fancy features the engine technology has, since its a heavy car (nearly 1400kg) and it has a standard auto. The paddle-shift is proving to be useful, not just in the corners, but also when you need to get the car into cruise mode quickly, and also when you want to do that rapid overtaking. Unlike an manual or for comparison a CVT, the auto box has around a half second delay from the selection to engagement, but this is still okay compared to having nothing at all! The car finally got cleared by customs and i picked it up last Thursday evening. I had to wait 2 hrs for the car to appear out from the customs gate, and it was also rather disheartening to see the Sri Lankan buyer being so traditional with the bulk of the cars coming out being Toyota’s (Vitz, Belta, Axio, Allion and Premio and a lone Camry). The only non-Toyota cars were a single nissan Qualis and two Honda’s, one an Airwave, and my Honda Stream. The vehicle thus stood out in size and appearance and many a puzzled look wondering what this rather weird vehicle was! as it was not a traditional wagon in appearance, and neither was it a SUV considering its low ground clearance. Have yet to get any significant miles under its wheels, and the first local service to change the engine oil awaits. 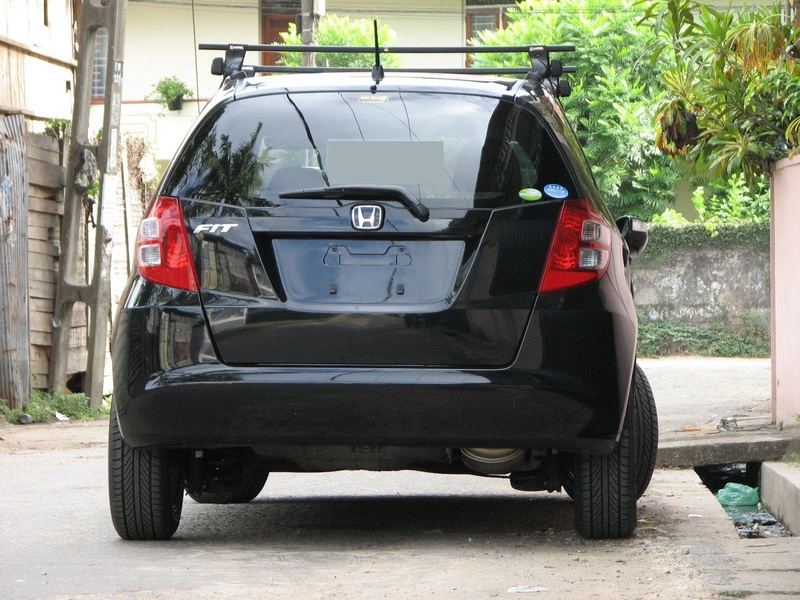 The vehicle has been serviced with Honda Ultra Oil 0W-20. However this oil is thin for local conditions, and will need to use a 10-30/40 when servicing. 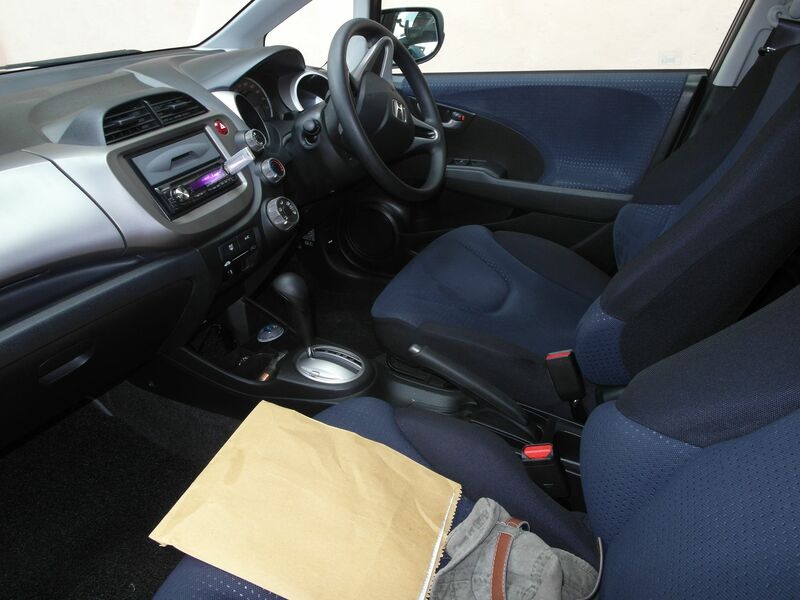 The quality of the interior is very good, and very practical and simple as Honda goes. The RSZ wheel being a key attraction. 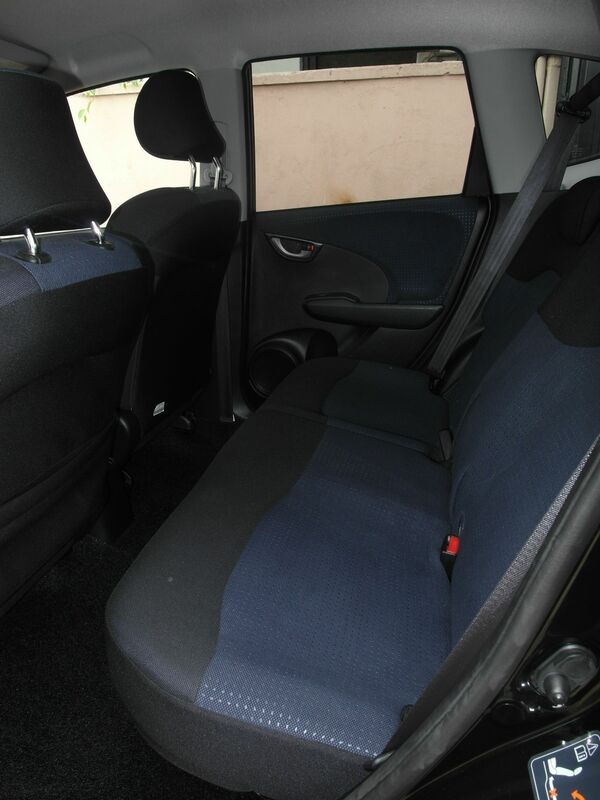 The seats are comfortable but still not great compared to one of the older cars i had before (the subaru legacy), though definitely better in comfort and support to the seats in my Honda Fit GD1. The seats in some ways were similar to the Honda Accord CF4 i owned prior to the GD1 Fit. The engine seems a bit short on power at low RPM’s, i am not sure if its due to the change in conditions, or if the air filter is not clean. Need to check this during the service. However once you hit higher RPMs you hear the VTEC and the thrust though not anything wild to make your passenger hold on to their seats! The ride is decent and very similar to the ES3 Civic RS i owned before, and not as capable of handling the bouncy and rutty roads in Sri Lanka. The RSZ maybe coming with a more sport suspension setup than the standard 1.8X, and the larger 17″ wheels with low profile tires also maybe a reason. I also found that the air pressure was 36, while we commonly use 28-30 due to the local road conditions. However i need to work the best air pressure that balances comfort with economy and handling as i go along. The space is pretty decent that 7 could seat in relative comfort, and you could in theory have 3 seated in the rearmost seat if they were kids. However the car seat i have for my small chap is from the US and seems its made for the large SUV type cars which are wider than the standard 1695mm width set by Japanese standards for most of the cars. So sitting 2 adults with the car seat seems not a possibility, and for this you need to go higher to the CRV which has a wider interior. Legroom for the rear passengers is good, and some commented that the rear seats were more comfortable than the front, which is a very unusual situation indeed! The car is yet to get used to local conditions, but with octane 95 fuel, the car is returning arond 8.5-9kmpl in the city under varying driving conditions, as i try to get myself familiar with the engine and car with my driving style. 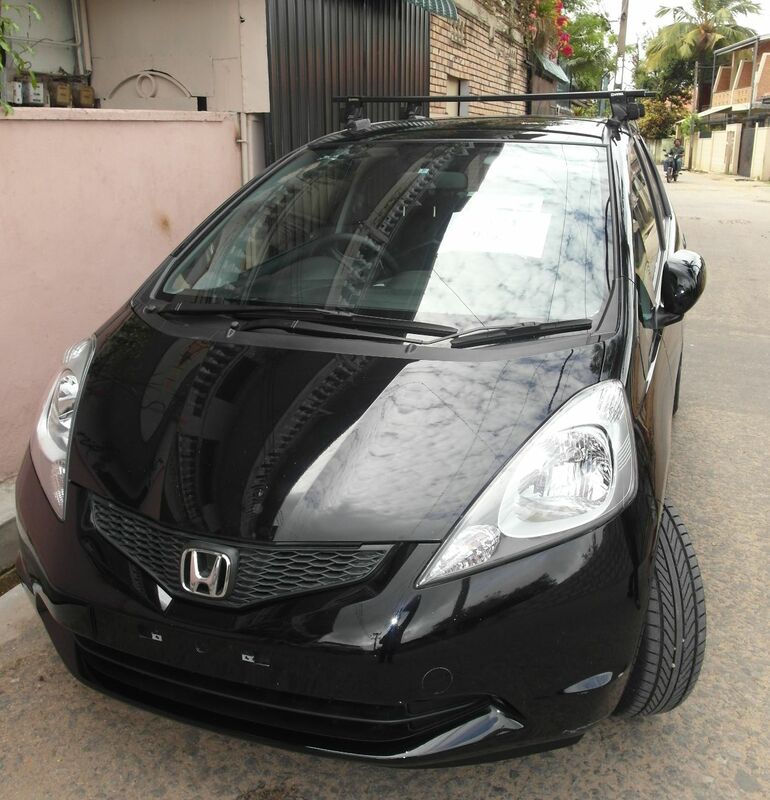 The good old times that the Honda Fit / Jazz came with just the CVT option globally along with the manual seems to have disappeared, partially due to CVT issues that mainly has become a problem in the Asian region. The standard auto for the GD1 was offered in the US which surprisingly did not get the more advanced CVT solution, one wonders if Honda was a bit worried over the issues faced in the Asian region with the gearboxes. Whatever the reason the choice worked fine, as the car sold very well in the US, a country where most folks just loved large cars, though times are changing now with more and more smaller and fuel efficient cars entering that market (Just like the iPhone, to most folks in the states these cars may seem knew but little do they know these are tried and tested models in other countries that are being sold with a new set of clothes to make them look new). Well seems like most Asian markets are now playing safe by only offering the manual, standard auto and the new I-SHIFT (supposedly a manual gearbox with automatic controls). Initial review comments suggests that the CVT seems to be a much more driver oriented gearbox with better fuel efficiencies than the I-SHIFT version though Honda marketing may otherwise. The Japanese market though continues to get a CVT version of coupled to the 1.3L I-VTEC engine. This variant seems to feature technology lifted from the FD1 Civic such as drive-by-wire throttle control, etc which means the vehicle for a 1.3L gives out quite a bit of juice and jazz in its performance while sipping fuel very thriftily.